This church on the hill is symbolic of Shukugawa. I went to a kindergarten that was located in the garden of the church. The place still puts me at peace. I also have sad memories of the church. The military used it as a command post during the war and painted it completely black. 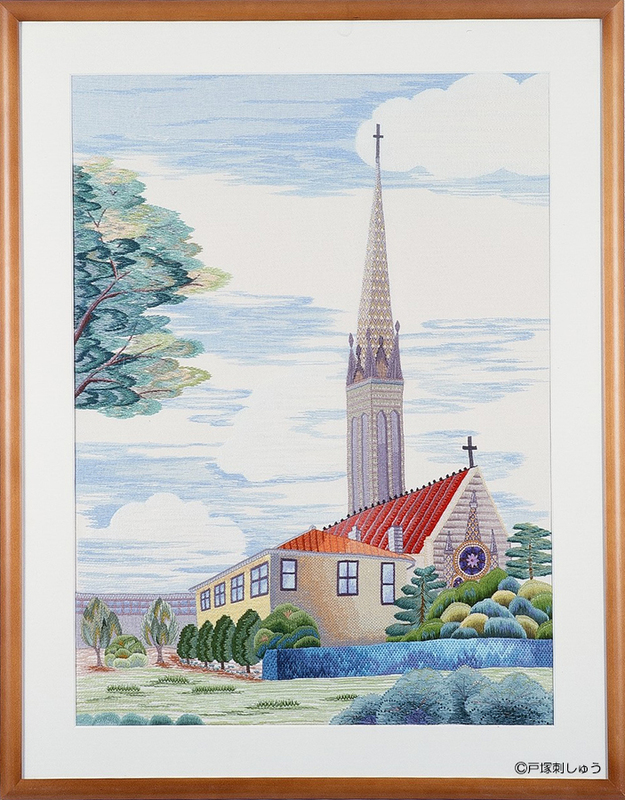 In this embroidery are my hopes that this beautiful church will forever remain a symbol of peace for the town. Copyright(c) 2019 TOTSUKA Embroidery Association. All Rights Reserved.